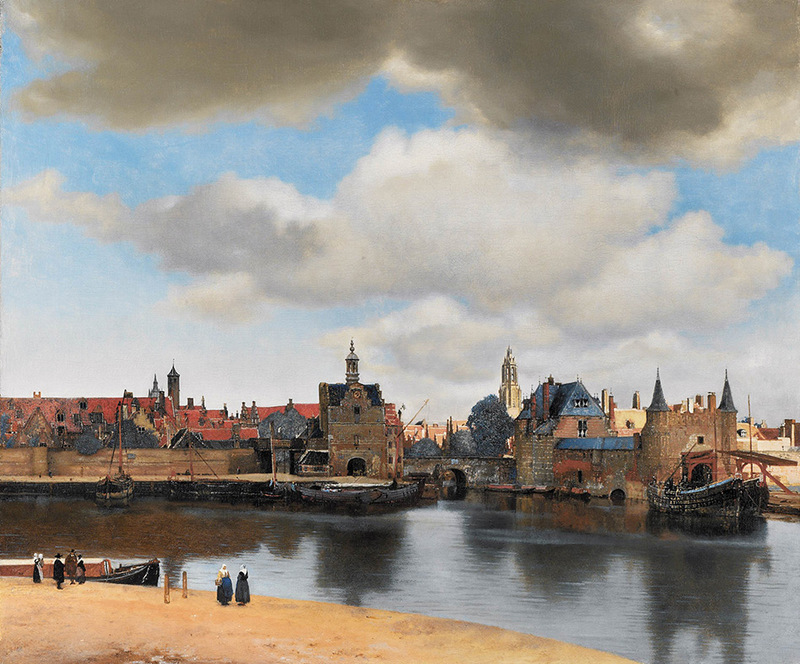 Between 1659 and 1662, the Dutch master Johannes Vermeer painted The View on Delft. The painting portrays the city of Delft in the early morning light, reflected in the waters of the Zuidkolk. The Kolk is a widening of waterways; a busy area with a long tradition of landing and loading trade goods. 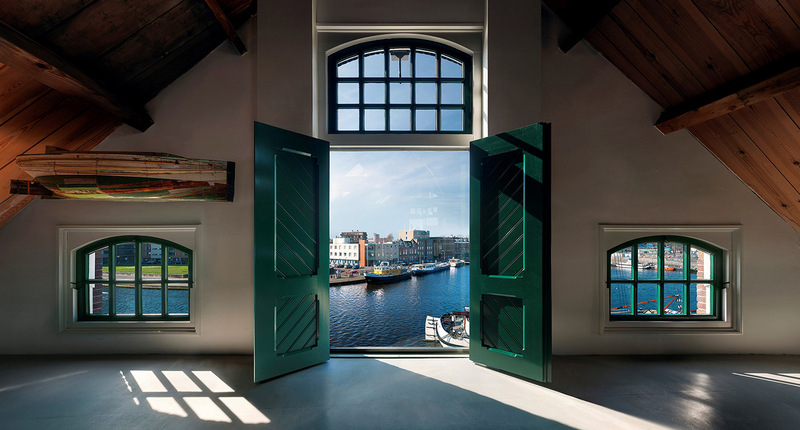 In 1899, Varnish manufacturer Vliegenthart built a warehouse for storing linseed oil on this very same waterfront. 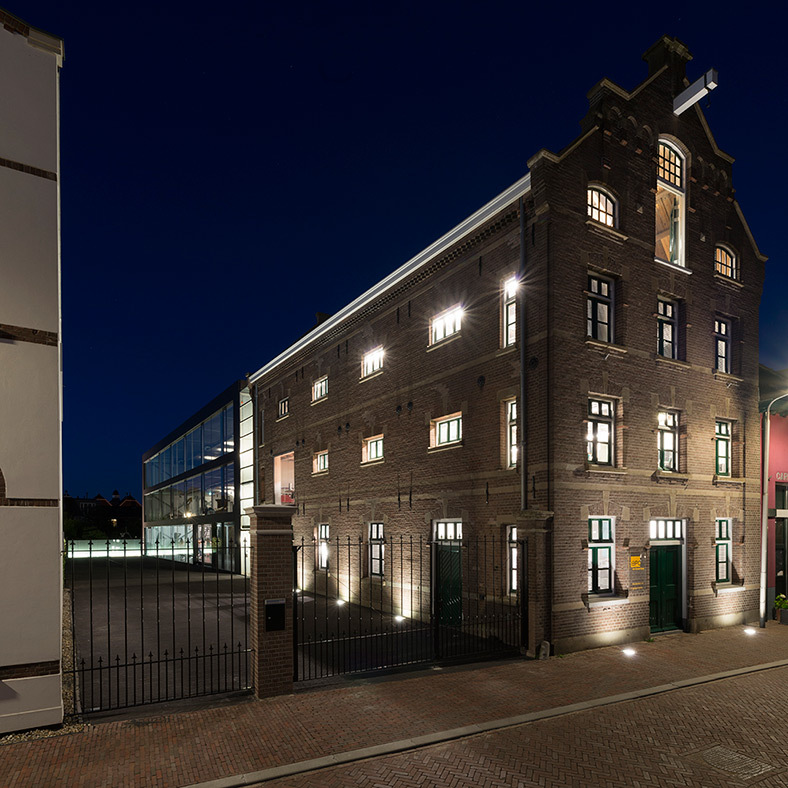 The warehouse, which was baptised “De Liefde” (Love), was built in the neo-Dutch renaissance style. It is one of the few well-preserved buildings that still remind us of the busy trading activities of former days and has accordingly been listed as a National Heritage site. In 2004, BPO, a firm of consulting engineers, purchased the building for use as its company site. 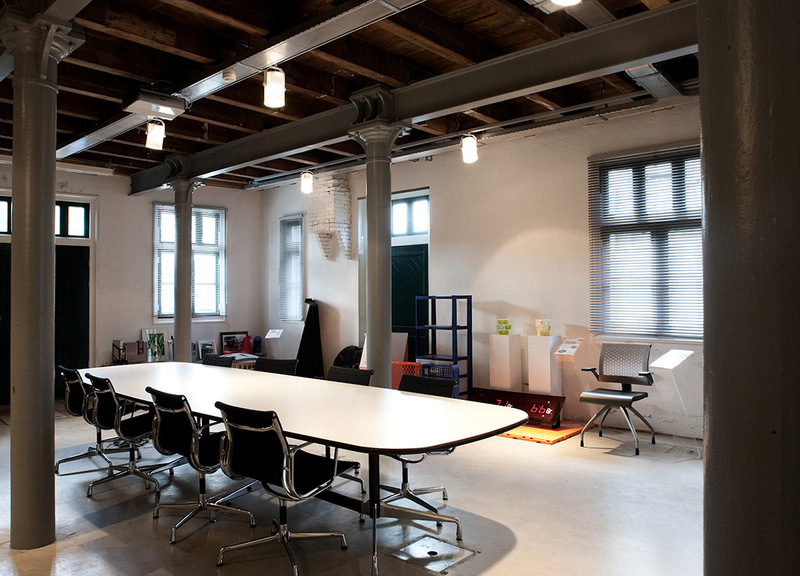 The building, which was in very poor condition at the time, had to be restored and converted for office use. 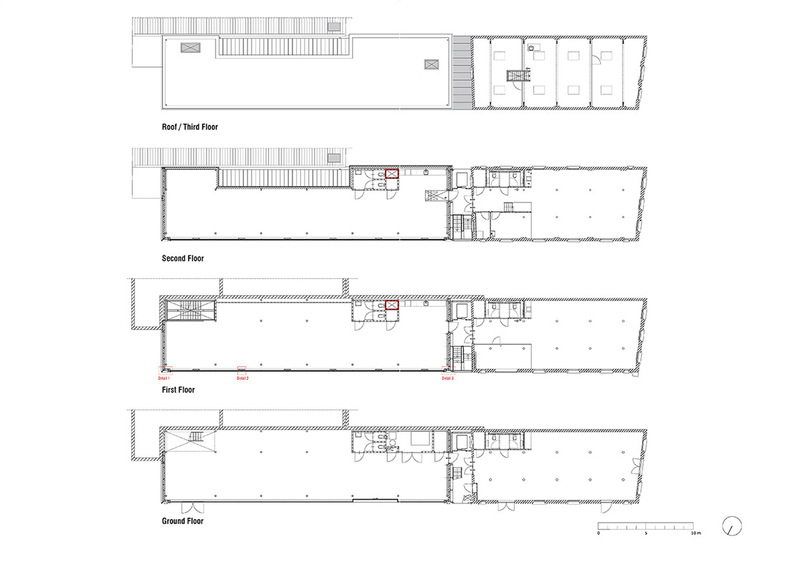 BPO asked RVDV architectuur to draw up a plan for this. RVDV chose a strategy of intelligent restraint, consisting of a number of minor but highly effective modifications. 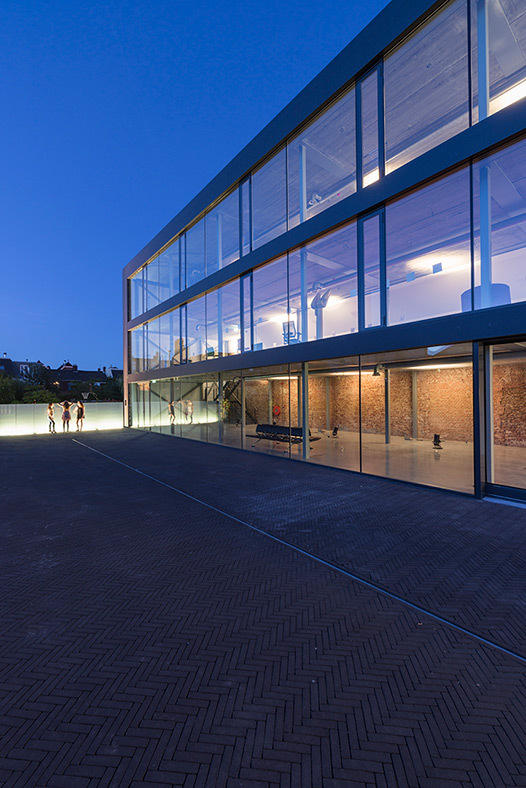 For example, the lack of natural light on the first floor was solved by making an opening in the side façade for a minimalistically detailed glass panel that fits flush with the brickwork. 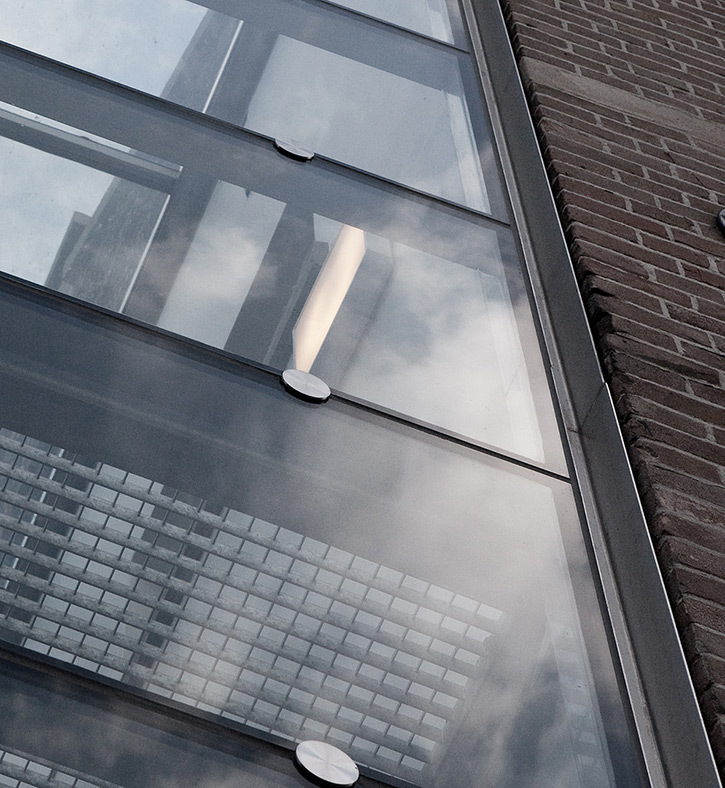 A glass stairwell with a lift was added to the rear of the building. This addition is separated from the main building by fire doors. 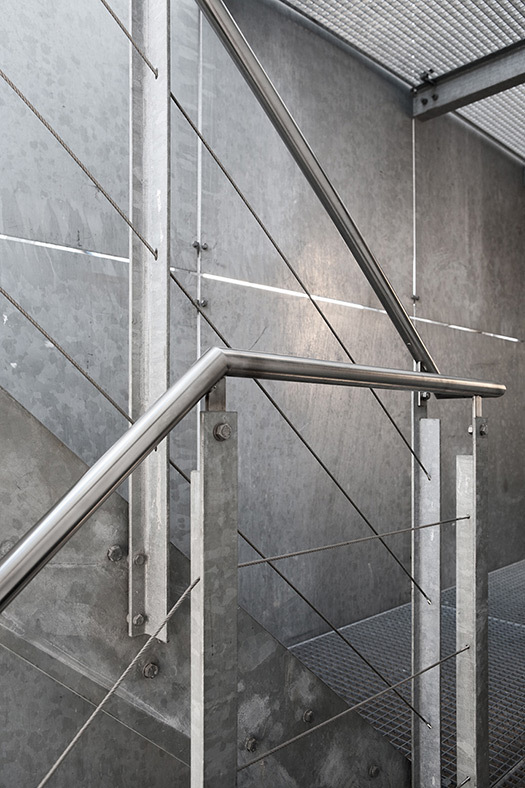 As a result, no stairwell had to be created inside the warehouse itself, meaning that all of the floors could be kept as open as possible. No ceilings are fitted and the interior walls are mainly made of glass to ensure that the existing building structure, including the cast-iron columns and wooden trusses, are given visual pride of place. 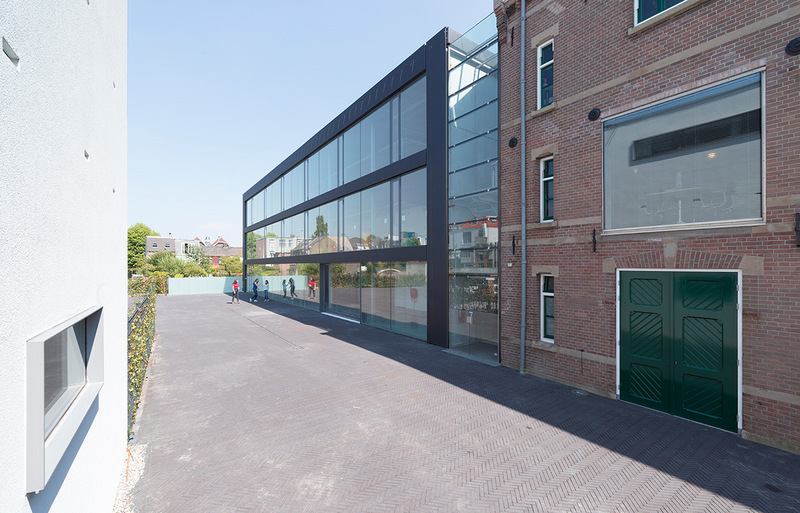 Some years ago, BPO purchased the other run-down buildings of the former Vliegenthart site, with the intention of constructing a new office in the grounds and an exhibitions pavilion at a later stage. RVDV architecture was also asked to take on this project. Local ordinances prescribed a historic looking architecture for this area. 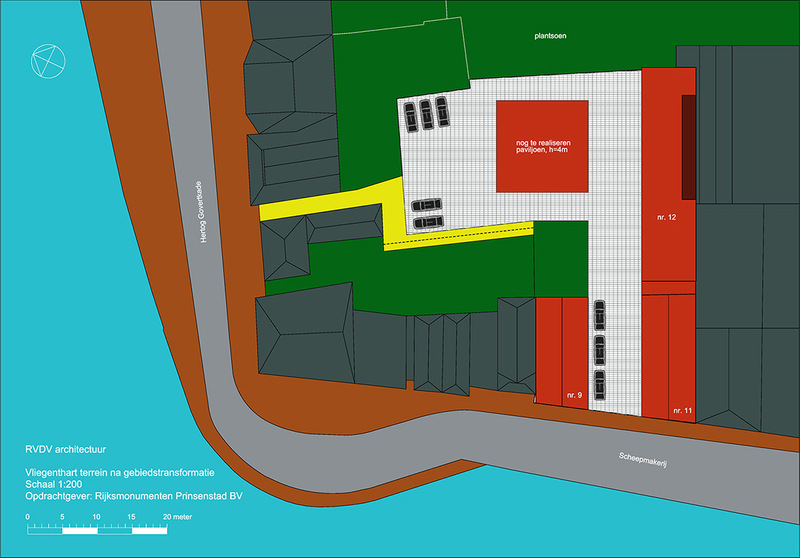 RVDV, however, suggested only restoring the intact parts of the structures on the waterfront side and creating a more contemporary environment in the parts of the site behind, with the intention of focussing attention more strongly on the historical buildings through this deliberate contrast, rather trying to simply imitate them. 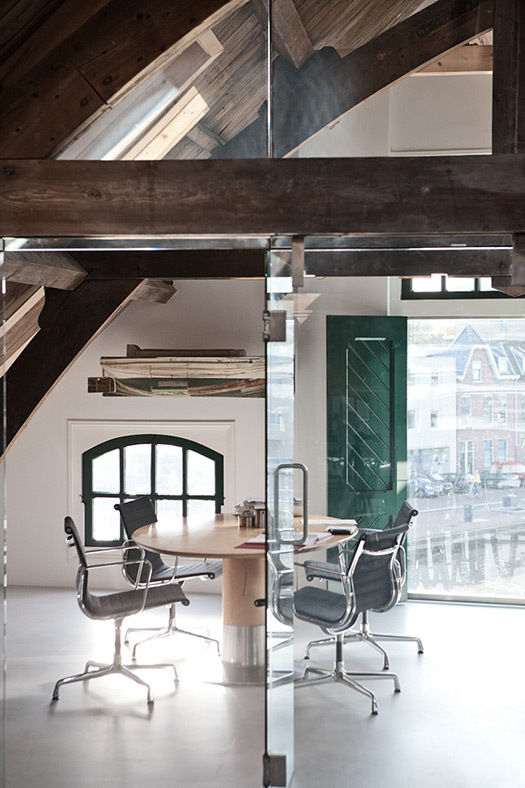 RVDV’s office design blends seamlessly with the glass stairwell at the back of the “De Liefde” warehouse. 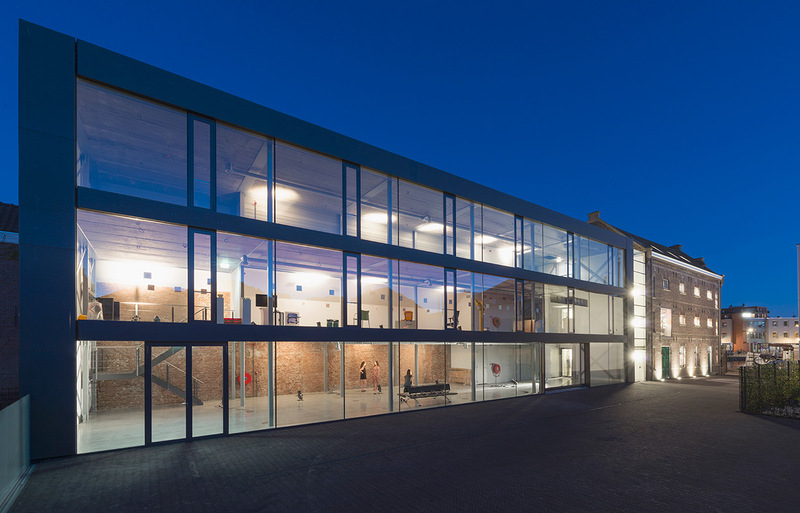 It has a minimalistically detailed façade made from glass and black transparent fabric, and is so abstract that the way the scene is experienced strongly accentuates the existing warehouse and the other historical buildings. 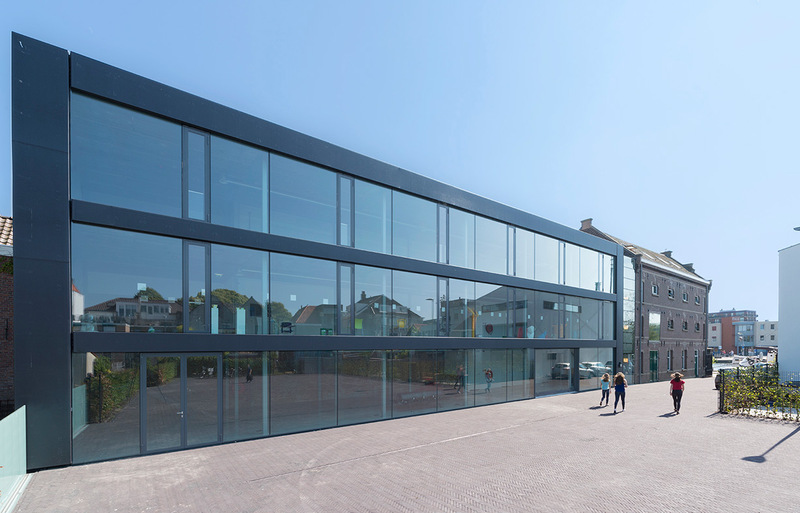 Due to the exceptional architectural quality of the office design, the City Council of Delft found it to enrich the immediate urban environment and issued a permit for the work in spite of non-compliance with the local ordinance. 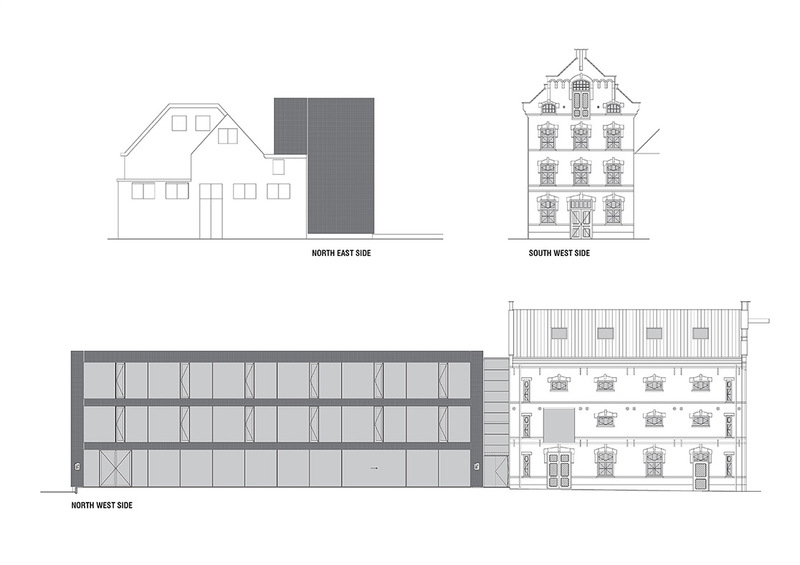 The result is a balanced collection of old and new buildings that play to each other’s strengths to create a whole that is more than the sum of the parts. A number of innovative techniques were incorporated in the design for the new office. The fully glazed façade is one of them. This façade has been constructed without the normal uprights and sills. 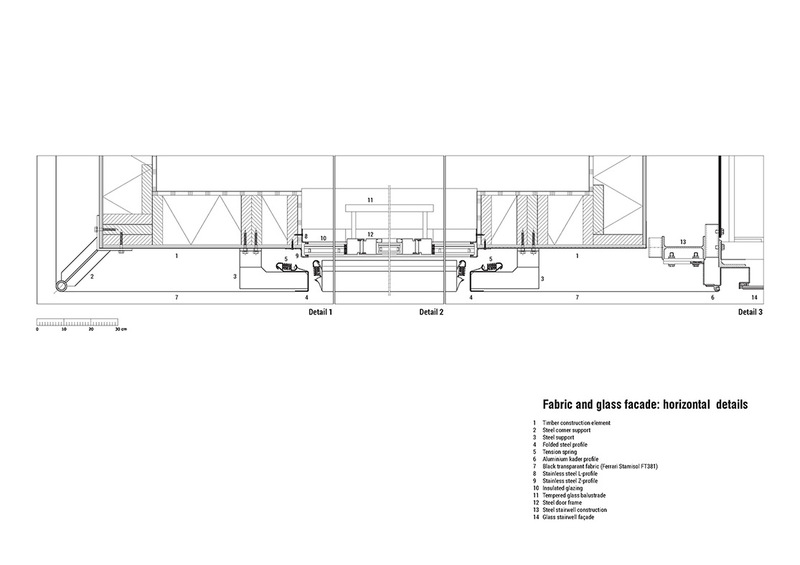 Instead, the glazed panels are fastened directly to the wooden skeleton elements of the building by folded steel profiles that remain invisible. 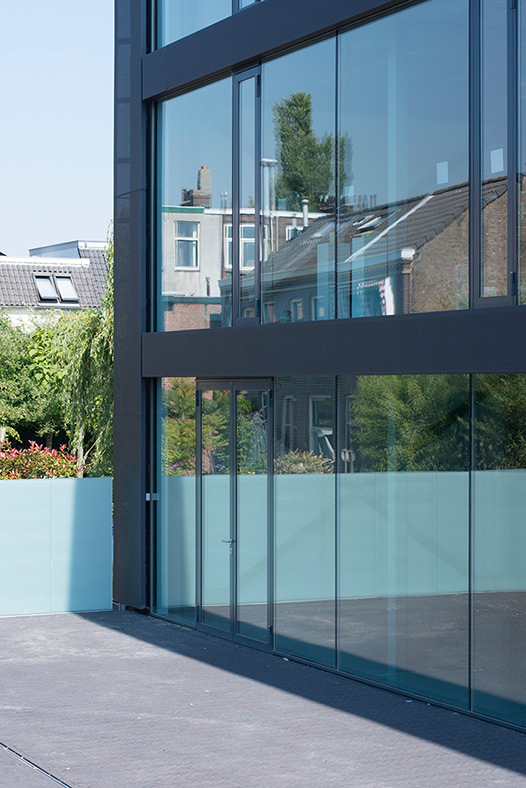 This keeps the glazed façade free of other visual elements. 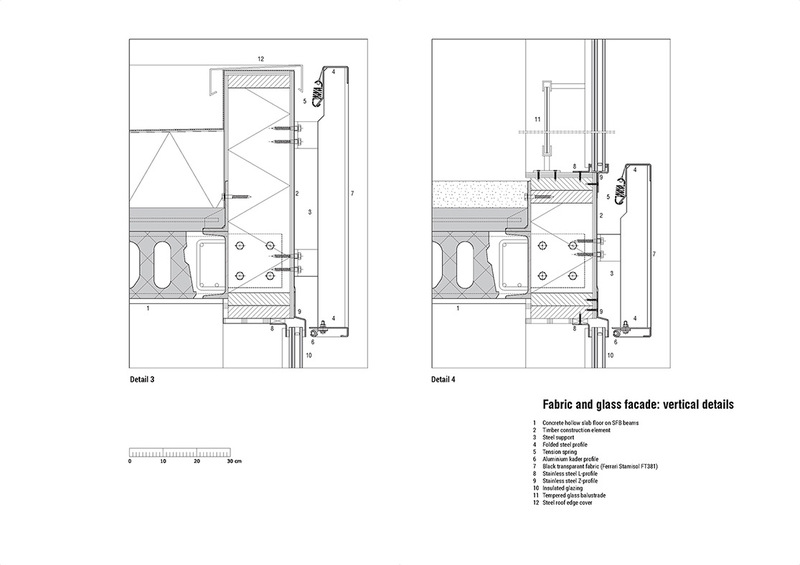 The only exception consists of the steel door frames, which are glued into the glass panels. 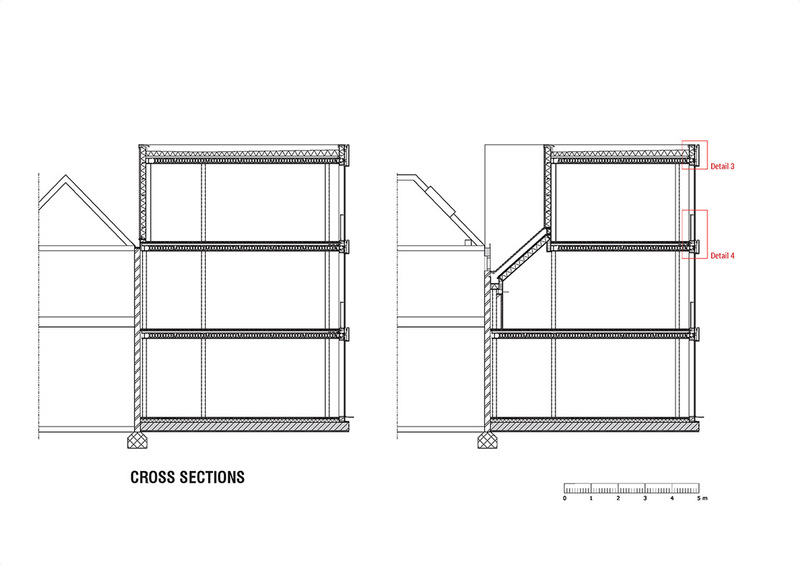 They mimic the dimensional proportions of the windows in the warehouse: a subtle reference to the historical building to which the new office connects. 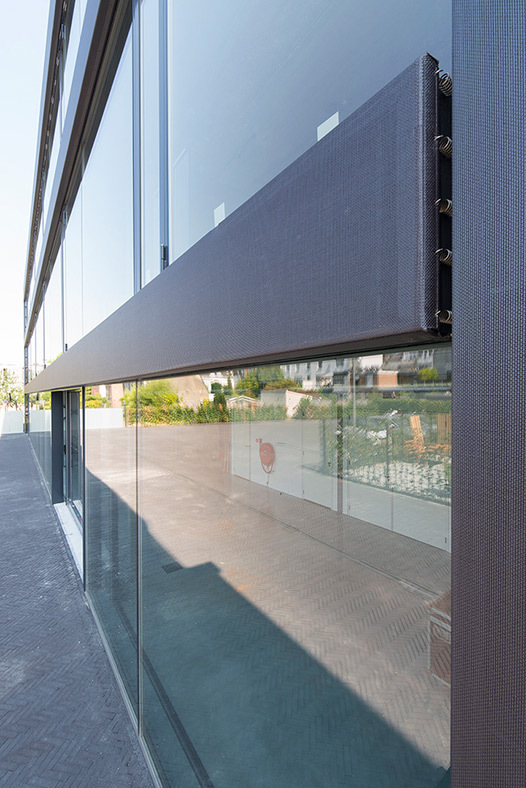 A second innovation is the fabric façade cladding, which was developed in collaboration with a Dutch supplier. 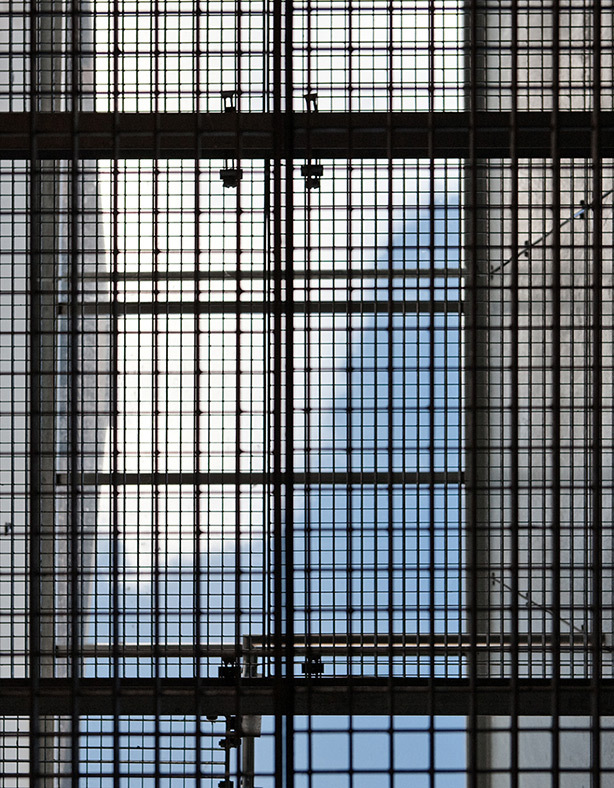 This consists of folded steel frames that support a tautly tensioned black transparent fabric. The fabric is a PVC-coated woven glass fibre material that is resistant to UV radiation. 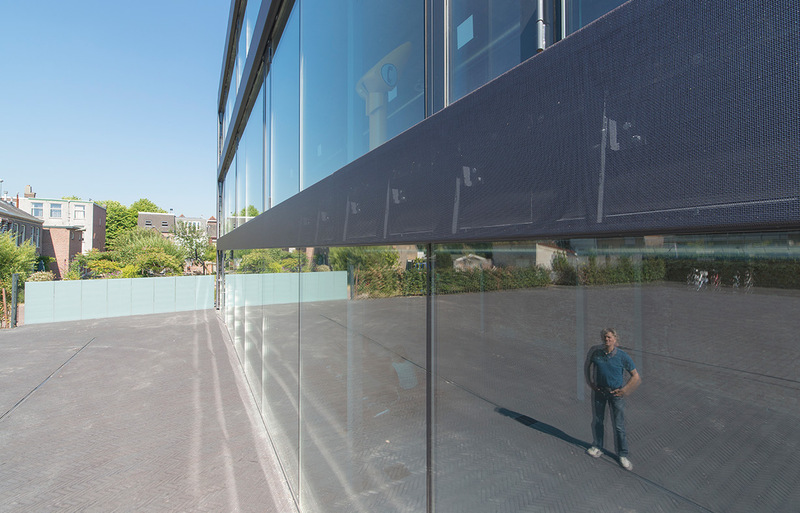 It was possible to produce a single piece of fabric to cover the entire length of the building, more than 30 metres, without any joints, thereby contributing strongly to the building’s abstract character. RVDV has set itself the goal of designing sustainable buildings and has again succeeded in accomplishing this with BPO’s office. The building is made from sustainable materials and is heated and cooled via concrete core activation. The heat and cold are delivered by a heat pump, which makes efficient use of geothermal energy. 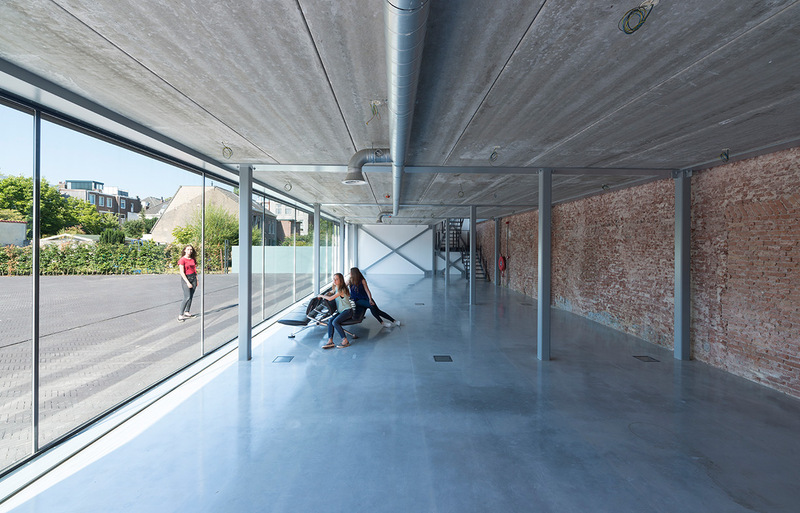 As a result, the building can be cooled during the summer using cold accumulated in the ground during the winter. The building has achieved a Breeam pre-assessment rating of 66%, or three stars (very good). 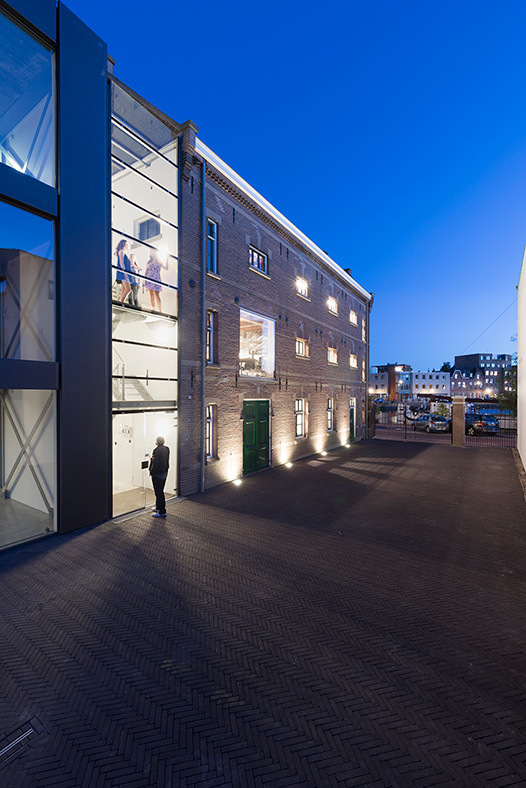 Shortlisted for the Plan Award 2015 in the category “Old and new”.